When the homeland of KwaZulu, meaning “Place of the Zulu“, was merged into the Natal province in 1994, the province was named KwaZulu-Natal. KZN is the only province in South Africa whereby its name reflects the dominant ethnic group. The province is home to the Zulu monarchy. Pietermaritzburg is the capital of KwaZulu-Natal whilst Durban is its major city. Being one of the fastest-growing urban areas in the world, Durban is the busiest port in SA handling over 30-million tons of cargo a year. Combined with the port at Richards Bay, they account for over 70% of South Africa’s cargo tonnage. KZN is lucky to have two World Heritage Sites at the Greater St Lucia Wetland Park (iSimangaliso) and the Ukhahlamba-Drakensberg Park. Ukhahlamba-Drakensberg Park was declared a World Heritage Site in 2000 and is a mountainous wilderness bordering Lesotho, boasting the highest mountain range in South Africa. Often referred to as “Little Switzerland” with its high snowfall rate in winter, the Drakensberg tends to have visitors flocking there all year-round. Beautiful waterfalls, rocks decorated with San art, and mountain peaks – the area is spectacular. The ‘living fossil’ fish or coelacanth lives in the iSimangaliso Wetland Park on the north coast of KwaZulu-Natal, and in the wise words of Nelson Mandela (1999) : “(iSimangaliso) must be the only place on the globe where the world’s oldest land mammal (the rhinoceros) and the world’s biggest terrestrial mammal (the elephant), share an ecosystem with the world’s oldest fish (the coelacanth) and the world’s biggest marine mammal (the whale)”. Some of South Africa‘s best-protected indigenous coastal forests are found along KwaZulu-Natal’s coastline especially Kosi Bay and Dukuduku. 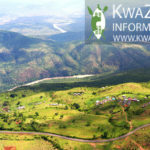 KZN is filled with active conservation activities which includes the Royal Natal National Park. The park is home to more than 1 000 plant species, various species of antelope and three of the world’s seven species of crane. Other conservation concerns are at Giant’s Castle and the Kamberg Nature Reserve. From the early days KZN has seen many historical battles between the Zulus and the Voortrekkers; the British Empire and the Boer settlers; the Zulus and the British Empire. The province is the focal point of South African history containing many relics from our historical past. The Battlefields in central KZN is a good showpiece of this history and well-worth a visit. The KZN coastline has some excellent beaches including Umhlanga Rocks, Shelly Beach and Margate to name only a few. The beaches are safe for swimming and have super surfing opportunities. The Battlefields – wonderful sweeping hills and rock formations, the site of historical battles littered with the remains of stone forts and graveyards. The Drakensberg – Awe-inspiring mountain ranges stretching over into Lesotho. Elephant Coast – stretching from Lake St Lucia to Kosi Bay, the Elephant Coast is an untamed area filled with a unique eco-system and unspoilt scenery. eThekwini-Durban – natural harbour, busy port and “Golden Mile” of international hotels and fantastic beaches. The North Coast – also known as The Dolphin Coast due to the numerous sightings of bottlenose dolphins, extending from the Tongaat River at Zimbali to Zinkwazi Beach. The South Coast – An endless summer strip of coastland stretching from Amanzimtoti to Port Edward – beaches, lagoons, sub-tropical forests – a magnificent tourist collection. Zululand Region – North of the Dolphin Coast extending to Richard’s Bay and inland to rural KZN – superb grasslands, forests, green hills and the quiet life. 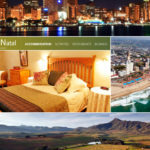 Other areas include the Valley of 1000 Hills – formed by the Mngeni River, the valley is majestically shaped with farming communities; and the Natal Midlands – a natural meander between Pietermaritzburg and the Drakensberg, a region filled with farmlands, quaint little towns and a fabulous arts and crafts route. There are some truly spectacular birding opportunities in KZN with many tourist venues specifically catering to the viewings, especially along specific birding routes. See our dedicated website for more information on birding in KwaZulu-Natal : www.zululand-birding-route-info.co.za. KwaZulu-Natal‘s major economic sectors are manufacturing, exports, tourism and agriculture. There has been a rapid industrialization in the province in recent years thanks to its abundant water supply and labour resources. Some of the major industries are found in Newcastle, Ladysmith, Dundee, Richards Bay, Durban, Hammarsdale, Richmond, Pietermaritzburg and Mandeni. A great deal of progress has been made due to the Dube Trade Port and with the opening of the King Shaka International Airport in 2010, the Durban region is booming. The sugarcane plantations along the coastal belt are a mainstay of economy for the region, while citrus fruits, cotton, bananas and pineapples are also grown here. Industries, mainly located in Durban and aside from the sugar refineries are textile, paper and food-processing plants, among many others. Richards Bay on the central coast has large aluminium-smelting plants. There are some excellent shopping centres in KZN namely Umhlanga’s Gateway, the Galleria in Amanzimtoti, the Midlands Mall in Pietermaritzburg, the Pavilion in Westville, the Dolphin Coast Centre in Ballito, La Lucia Mall in La Lucia, and the Shelly Mall on the lower South Coast. See the business directory for more information. South Africa is a friendly nation by nature, however KZN is home to some of the friendliest! With its rich diversity of cultures and more than 10 official languages, the province is a happy one! This is reflected in some fantastic Zulu dances coupled with amazing musical abilities showcased throughout the province at any tourist venue. The Zulu language is widely spoken in KwaZulu-Natal and is understood by most people, even if it is only a basic “Sawubona” greeting of “Hello”. The restaurants are as diverse as the province. From cosmopolitan luxury to the local “bunny-chow” (curry in half a loaf of white bread) and curry powdered-dusted pineapples – there sure is something to suit every taste, budget and craving. The restaurant directory reflects listings of advertisers, please click here for more information. Each city, town and region has something special to offer their visitors, whether it is safaris out in the open, wildlife viewing, surfing, hiking or mountain biking. Elegant shopping centres, casinos, markets and curio stalls dotted all over the province is a shoppers paradise. The Midlands Meander provides a route of unique arts and crafts interspersed with delightful accommodation options – a holiday in itself. KZN is ideal for the nature and outdoor lover with brilliant rivers which are ideal for fishing, mountains perfect for climbing, hikes and trails and for those seeking solitude, the quiet lull of birdsong and nature, will guarantee a holiday of de-stressing. Accommodation in the province is extensive with a range of options available covering the entire spectrum of luxury, budget and camping. 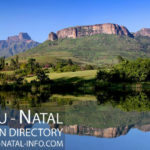 The accommodation directory provides a list of advertisers for KZN.